She’s an early Christian martyr turned world famous 11.5 inch doll. 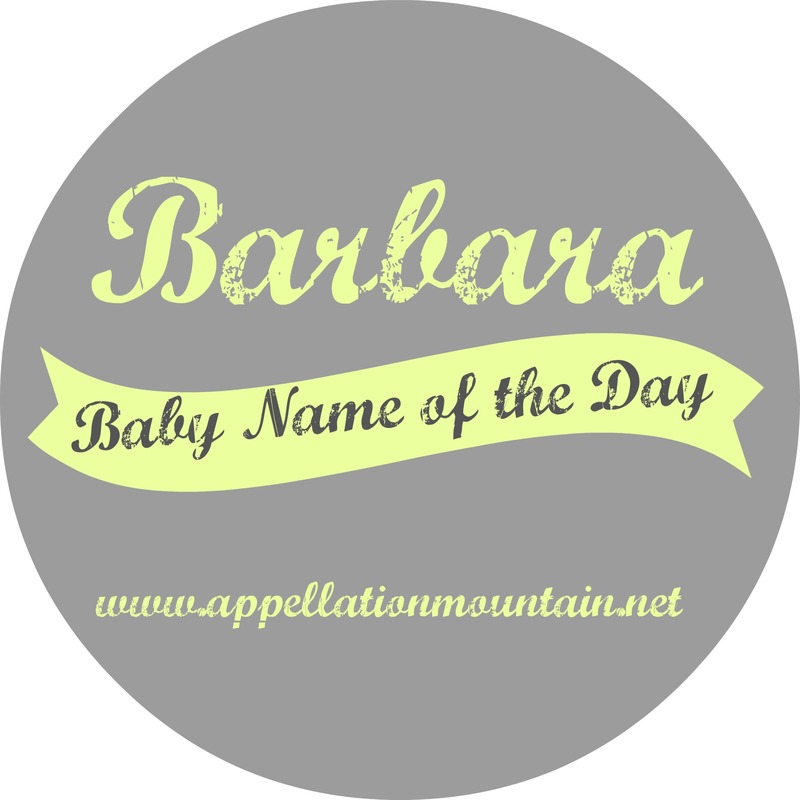 Former Favorites week continues, and our Baby Name of the Day is Barbara. Saint Barbara was the original Rapunzel. Her wealthy pagan dad kept her locked up in a tower. Despite her isolation, Barbara converted to Christianity. When she was found out, her protective dad was furious. A dramatic pursuit ended with her arrest and torture, but the young woman could not be killed. Eventually she was beheaded by her father himself, and Barbara entered the list of martyrs. Or did she? Historical evidence for her life is non-existent. But my, is she popular. 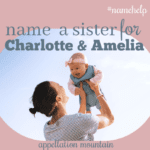 Immediately following her death, it is said, her father was struck down by lightning. This association made her patron saint of all things explosive, including artillerymen and those who work in dangerous professions. The US Army maintains the Order of Saint Barbara for members of the artillery. 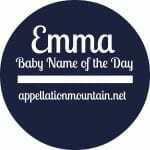 Now, about her name. It comes from barbaros – foreign, the same root as our word barbarian. 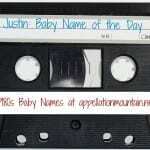 She’s been popular over the centuries, well used enough to give rise to surnames like Babbitt. The form Barbary was used in the Middle Ages, as Margery is to Margaret, though the Barbary Coast comes by its name another way. Traditional ballad “Barbara Allen” dates to 1666 or earlier – Samuel Pepys mentioned it in a diary entry, though he called it “Barbary Allen.” The story is simple: a young man pines for the lovely Barbara, but she scorns him. Only at his funeral does she regret it. You’ve probably heard it – even Bob Dylan performed the song. Actresses including Barbara Stanwyck, as well as the women who played Jeannie on I Dream of Jeannie, the mom on Leave it to Beaver and Agent 99 on Get Smart. Then there’s Barbara Hershey, Barbara Bel Geddes, and more. The original Batgirl was Commissioner Gordon’s niece, named Barbara. It’s a family name for the Bush dynasty, and plenty of other politicians have worn it. Mandrell and Streisand are among the singers to answer to the name, and The Beach Boys made a song about Bar-bar-bar-bar-bar-bra-Ann famous. George Bernard Shaw’s play “Major Barbara” debuted in 1905, when the name was already on the rise. By 1927, Barbara ranked in the US Top Ten, and she’d stay there through 1958. Barbara Millicent Roberts – better known as Barbie – debuted in 1959 as a brunette. Creator Ruth Handler named Barbie after her own daughter. She’s been a bestselling toy – and a pop culture phenomenon – for over fifty years. Could the doll be the reason this name has fallen so hard? She left the US Top 100 after 1976, and fell to #900 by 2012, making her as common as Saanvi or Azalea. But your Barbara wouldn’t have to share her nickname with the owner of a pink Dream House. She could be Bobbie, Bebe, Babs, Babette, or even Barbarella – though thanks to the French comic book and the kitschy 1968 sci fi flick starring a young Jane Fonda, Barbarella has a very different vibe. The name is so well used that I can’t begin to mention all of them – and maybe it isn’t the doll or any of the other references that ruined Barbara, but sheer overexposure. My best guess is that Barbara will be back at some future point, and we’ll talk about her in glowing terms as a vintage gem. I was born in 1980. My parents almost named my Barbara. I am so glad they didn’t! It’s way too old for my age bracket. I do really like Varvara. Anytime I see the name ‘Barbara’ I always first think of the character played by Kristen Wiig in “Flight of the Conchords”. Her name was ‘Bra-bra’, and the guys have this hilarious discussion in which one tries to correct the other…”You mean Barbara.” “No, it’s Bra-bra.” Indeed, it was. I went to school with a Barbara. Even in the early 90s, we all thought it was odd that she had a mom name. Plus she has a very common last name. I later worked for a boss in her 60s with the exact same first and last name. I can’t imagine how much Barbara would sound out of place in a classroom today. Hmm. I like the sound but think it is too soon, unless it was a family name. I like the Russian Varvara version though! Agreed – Varvara and Varenka are gorgeous!